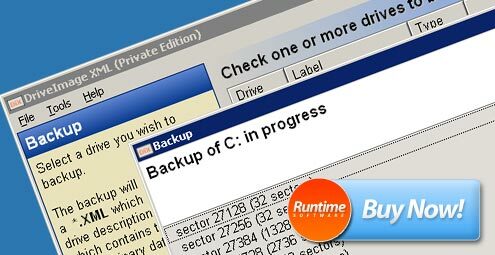 Runtime Software's data recovery software will help you rescue your lost or inaccessible files from any imaginable data recovery disaster. 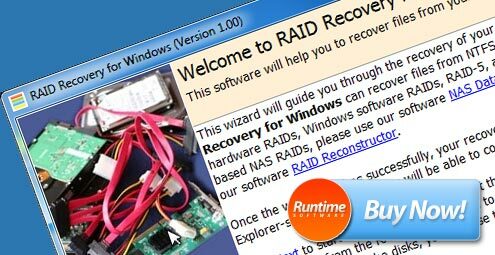 The simplest Data Recovery Software ever. 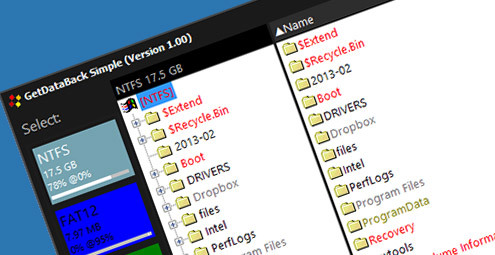 Lightning fast, for Windows NTFS, FAT, exFAT, Linux EXT, Mac HFS+ and APFS. No manual to read, no ostentatious options. 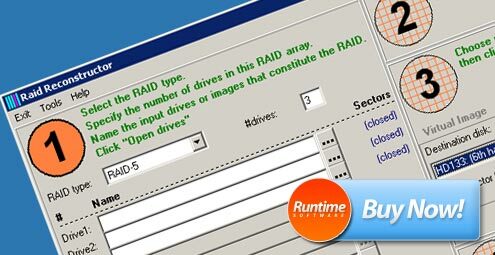 Recover data from a broken RAID Level 5 or 0 Array. RAID Reconstructor is not only a "destriper" but an "analyzer" as well. 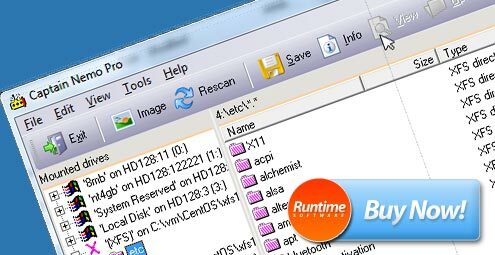 Mount any Novell, NTFS, EXT, XFS, HFS+, or APFS drive or image from your Windows computer without requiring a network setup. Our file system mounter Captain Nemo now supports Apple Mac HFS+ and APFS drives. 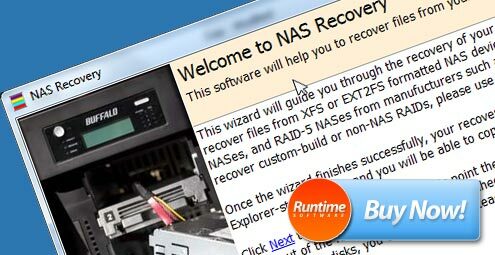 Our flagship data recovery product now supports the Apple Mac HFS+ file system. HFS+ is the primary file system used for all media on Macs since 1998.
through your data recovery process.